New kitchens are expensive. A complete kitchen remodel can cost anywhere from $15,000 up to the mid-five-figures which is shocking! 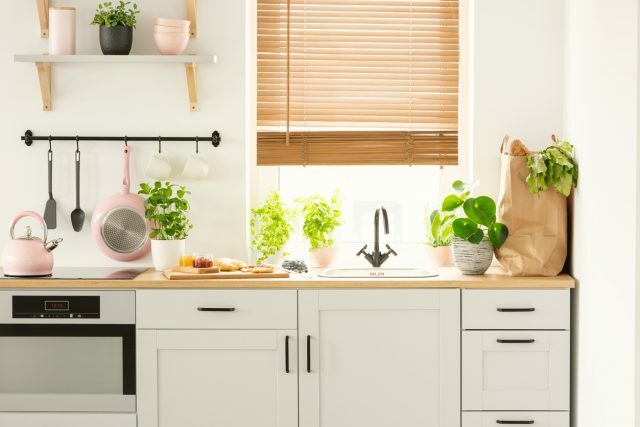 It’s better to look for cheaper and easier ways to make improvements to your existing kitchen to extend its useful life while giving it some much-needed beautification. Your wallet will thank you. Here are four inexpensive and uncomplicated ways to make an older kitchen appear a bit more modern. Many kitchen cabinets are ripe for repainting. It gets rid of ugly stains and paints over little insignificant chips on the doors too. Replacing the entire cabinetry is an expensive headache, but repainting is something you can do yourself over a weekend. Choose a color that reflects rather than absorbs light. Yellow, orange or a similar hue brightens up the kitchen enormously. Use a primer for the drawers, door fronts and cabinet sides. Let the primer dry completely first. Then use a foam roller and a suitable brush to paint the kitchen cabinets properly. Try a latex satin finish paint rather than something oil-based. It will look better and is less troublesome to use too. Take your time to produce a great final look. With painted cabinets, you’ll want some new handles and pulls to really make the cabinets pop. Don’t try to re-fit the original ones as every mark and blemish will be obvious set against the backdrop of a satin finish paint job. The handle design must fit in with the overall look of the kitchen. While some flare in the design choice is fine, don’t look for something too ornate because it will stand out for the wrong reasons. Handles and pulls must be practical first, and look good second – not the other way around. So, do not get too artsy with your selection. Changing the lighting can make a huge difference to an older kitchen. Quite often, the lighting hasn’t been upgraded since the kitchen was first installed. When adding new hanging lighting fixtures, light is directed downwards to the areas where it’s most needed. This can be low-hanging light fixtures, powerful LEDs or a row of spotlights. Lighting up both the food preparation area, like an island in the kitchen, helps to avoid accidentally cutting yourself with a sharp knife because you couldn’t see clearly enough. Also, it’s difficult to cook well when you cannot clearly see when a piece of meat is cooked through or if the vegetables are being overcooked. Similarly, when it comes time to wash up or clean the kitchen, it’s useful to have better illumination there too. Food prep is just as important as the actual cooking, therefore it is important to have the right tools at your disposal. If your worktop appliances and utensils have seen better days, it can make a major difference to the look of your kitchen if you were to replace them all in a matching theme or color. 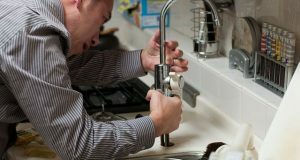 This can include things like the toaster and kettle, a splash back or even worktop savers. If you are going to get wooden cutting boards, choose a classy wood finish such as walnut so that you can leave them out on display without them looking out of place. When making your kitchen far more inviting as a place to hang out and cook for yourself (or your family) it often becomes a gathering spot. As an added bonus, you’ll also find yourself saving on restaurant and takeout expenses as you start to prefer the taste of your own cooking. Previous articleShould you invest in a HMO?